Bernard, J., Hutter, M., Zeppelzauer, M., Fellner, D., & Sedlmair, M. (2018). Comparing Visual-Interactive Labeling with Active Learning: An Experimental Study. IEEE Trans. Visualization and Computer Graphics (TVCG, Proc. VAST 2017). Niederer, C., K. Blumenstein, M. Wagner, S. Emerich, and W. Aigner (2018). Visualizing Text Data in Space and Time to Augment a Political News Broadcast on a Second Screen. In 9th International Conference on Information Visualization Theory and Applications (IVAPP 2018), Madeira, SCITEPRESS, forthcoming, In Press. Valdez, A. C., Ziefle, M., & Sedlmair, M. (2018). Priming and Anchoring Effects in Visualization. IEEE Trans. Visualization and Computer Graphics (TVCG, Proc. InfoVis 2017). Wang, Y., Chu, X., Bao, C., Zhu, L., Deussen, O., Chen, B., & Sedlmair, M. (2018). EdWordle: Consistency-preserving Word Cloud Editing. IEEE Trans. Visualization and Computer Graphics (TVCG, Proc. InfoVis 2017). Bernard, J., Zeppelzauer, M., Sedlmair, M., & Aigner, W. (2017). A Unified Process for Visual-Interactive Labeling. In Proc. Eurographics Intl. Workshop on Visual Analytics (EuroVA). Blumenstein, K., C. Niederer, M. Wagner, W. Pfersmann, M. Seidl, and W. Aigner (2017). Visualizing Spatial and Time-Oriented Data in a Second Screen Application. In Proceedings of the 19th International Conference on Human-Computer Interaction with Mobile Devices and Services, ACM. Isenberg, P., Isenberg, T., Sedlmair, M., Chen, J., & Möller, T. (2017). Visualization as Seen Through its Research Paper Keywords. IEEE Trans. Visualization and Computer Graphics (TVCG, Proc. SciVis 2016), 23(1), 771–780. Jenny, M., Haselmayer, M., Rudkowsky, E., Wastian, M., Emrich, S., & Sedlmair, M. (2017). Incivility in Austrian parliamentary debates: A supervised sentiment analysis of parliamentary speeches. In ECPR Joint Sessions of Workshops. Oppermann, M., Möller, T., & Sedlmair, M. (2017). Bike Sharing Atlas: Visual Analysis of Bike-Sharing Networks. International Journal of Transportation. Tominski, C., W. Aigner, S. Miksch, and H. Schumann (2017). Images of Time: Visual Representation of Time-Oriented Data. In Information Design: Research and Practice: Gower/Routledge, pp. 23–42. Valdez, A. C., Ziefle, M., & Sedlmair, M. (2017). A Framework for Studying Biases in Visualization Research. In IEEE VIS Workshop on Dealing with Cognitive Biases in Visualisations (DECISIVe). Aupetit, M., & Sedlmair, M. (2016). SepMe: 2002 New visual separation measures. In IEEE Pacific Visualization Symposium (pp. 1–8). Gutounig, R., Goldgruber, E., Ausserhofer, J., Andrews, K., Traunmüller, T., & Wolkinger, T. (2016). The Styrian Diversity Visualisation Project: Communicating Data Stories with an Open Data Visualisation Web App. In Tagungsband zum 10. 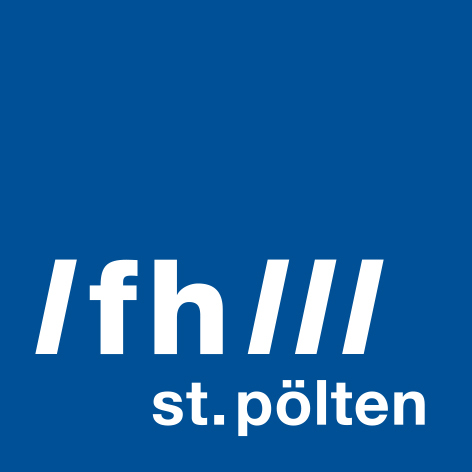 Forschungsforum der Österreichischen Fachhochschulen. 30.-31. März 2016, Fachhochschule des BFI Wien. Vienna. Niederer, C., A. Rind, W. Aigner, J. Ausserhofer, R. Gutounig, and M. Sedlmaier (2016). Visual Exploration of Media Transparency for Data Journalists: Problem Characterization and Abstraction. In Procedding of the 10th Forschungsforum der österreichischen Fachhochschulen, Vienna, Austria, FH des BFI Wien. Rind, A., Pfahler, D., Niederer, C., and Aigner, W. (2016). Exploring Media Transparency With Multiple Views. In Proceedings of the 9th Forum Media Technology 2016 (pp. 65–73), St. Pölten, Austria, CEUR-WS.org. Sacha, D., Sedlmair, M., Zhang, L., Lee, J. A., Weiskopf, D., North, S. C., & Keim, D. A. (2016). Human-Centered Machine Learning Through Interactive Visualization: Review and Open Challenges. In European Symposium on Artificial Neural Networks (ESANN). Sedlmair, M. (2016). Design Study Contributions Come in Different Guises: Seven Guiding Scenarios. In IEEE VIS Workshop Beyond Time and Errors: Novel Evaluation Methods for Visualization (BELIV) (pp. 152–161). ACM Press. Niederer, C., Aigner, W., & Rind, A. (2015). Survey on Visualizing Dynamic, Weighted, and Directed Graphs in the Context of Data-Driven Journalism. In Schulz, H.-J. ; Urban, B. & von Lukas, U. (eds. ), Proceedings of the International Summer School on Visual Computing 2015 (pp. 49–58). Rostock, Fraunhofer. Sedlmair, M., & Aupetit, M. (2015). Data-driven Evaluation of Visual Quality Measures. Computer Graphics Forum (CGF, Proc. EuroVis 2015), 34(3), 201–210. Ausserhofer, J., Gutounig, R., Oppermann, M., Matiasek, S., & Goldgruber, E. (2016, April). Research on data journalism: What is there to investigate? Insights from a structured literature review. Presented at the Northern Data Journalism Conference (NODA16), Helsinki, Finland. Niederer, C., Rind, A., Aigner, W., Ausserhofer, J., Gutounig, R., & Sedlmair, M. (2016, March). Visual exploration of media transparency for data journalists: problem characterization and abstraction. Presented at the Forschungsforum der österreichischen Fachhochschulen (FFH2016), Vienna, Austria. Gutounig, R., Goldgruber, E., Ausserhofer, J., Andrews, K., Traunmüller, T., & Wolkinger, T. (2016, March). The styrian diversity visualisation project: communicating data stories with an open data visualisation web app. Presented at the Forschungsforum der österreichischen Fachhochschulen (FFH2016), Vienna, Austria. Ausserhofer, J., Gutounig, R., & Oppermann, M. (2015, October). News Production Workflows in Data-driven, Algorithmic Journalism: A Systematic Literature Review. Presented at the Dubrovnik Media Days, Dubrovnik, Crotia.